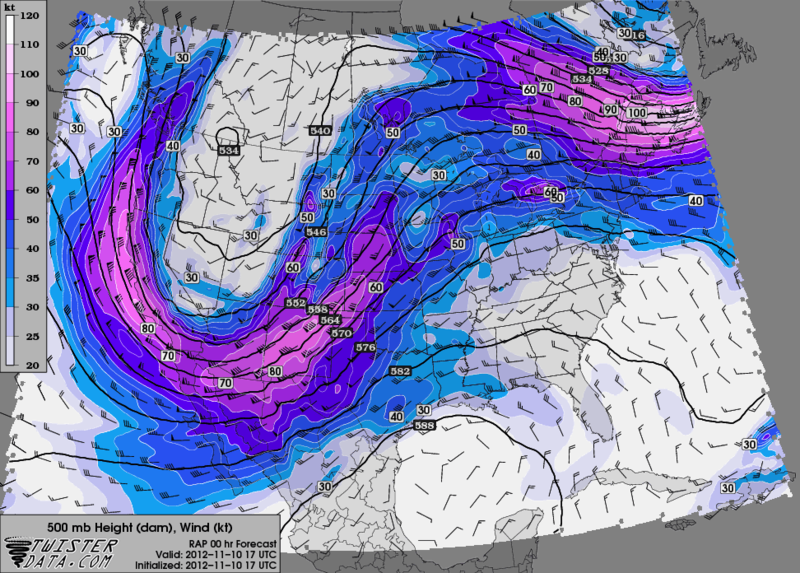 As this strong upper level trough moves eastward through tonight there will be a risk for severe storms from Northwest Texas up into the Upper Mississippi Valley today. 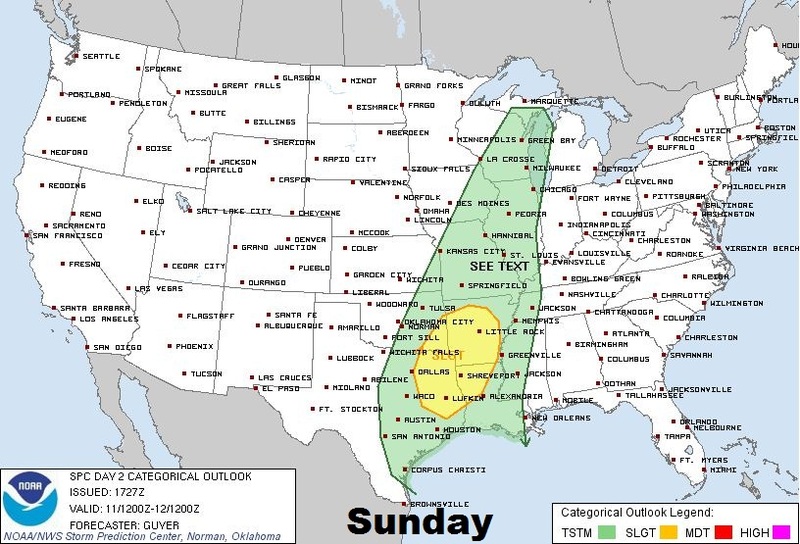 As the trough continues to move eastward it will bring the chance for strong to severe storms for eastern Texas, Arkansas and northwest Louisiana on Sunday. The main severe weather threats will be from damaging winds and large hail, but an isolated tornado could not be ruled out. 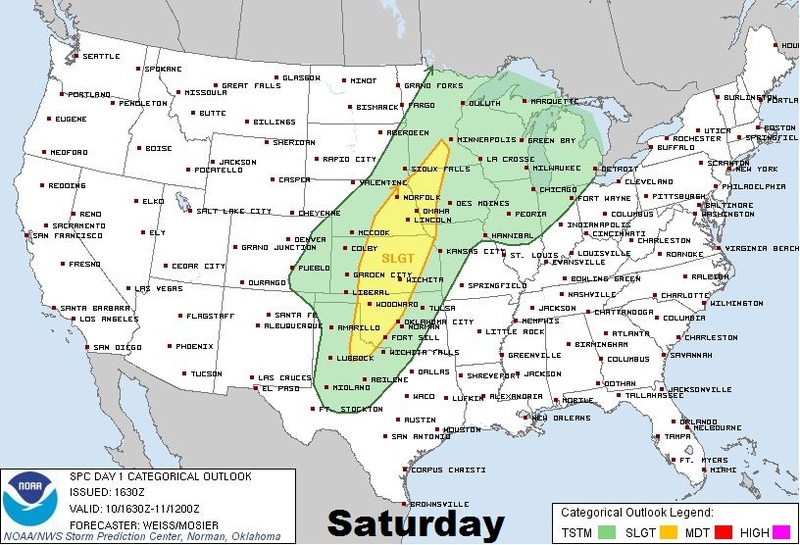 The graphics below show the slight risk for severe storms for Saturday and Sunday issued by The Storm Prediction Center. Visit www.VortexChasers.net/LIVE to view the latest radar.